Dancer Julianne Hough has a busy life as a judge on Dancing with the Stars and performing all over the country that it’s no surprise she wanted her home to be a place where she could relax and unwind. 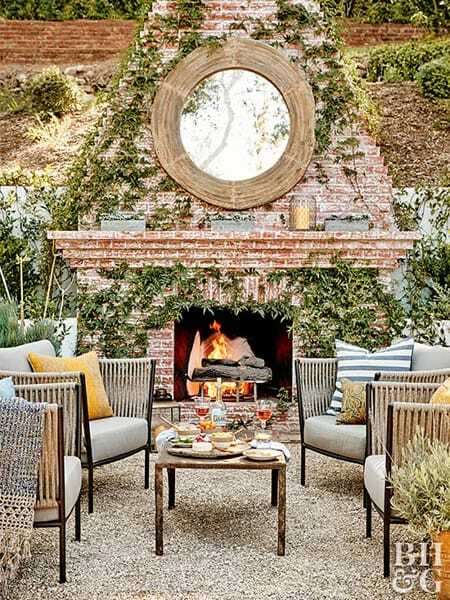 She poured her heart and soul into the design of her home in Hollywood, the results of which are a rustic chic vibe with a contemporary twist. The home is full of natural textures and a beautiful balance between comfort and elegance. It’s a great example of how you can have a sophisticated home while still feeling cozy in every space. This charming home tour was featured in Better Homes & Gardens and offers up tons of inspiration for anyone who wants a home full of character and comfort. A live edge dining room table brings tons of character to the rustic chic dining room. 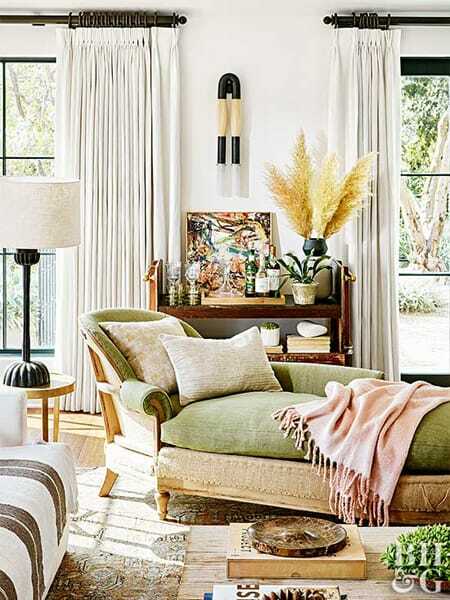 A chaise lounge in the living room is elegant, yet comfortable, suiting the “lived in” look of luxury that Julianne has brilliantly cultivated. White seating, walls, and curtains are crisp and fresh in the living room, contrasting beautifully against the dark wood and ornate rug. 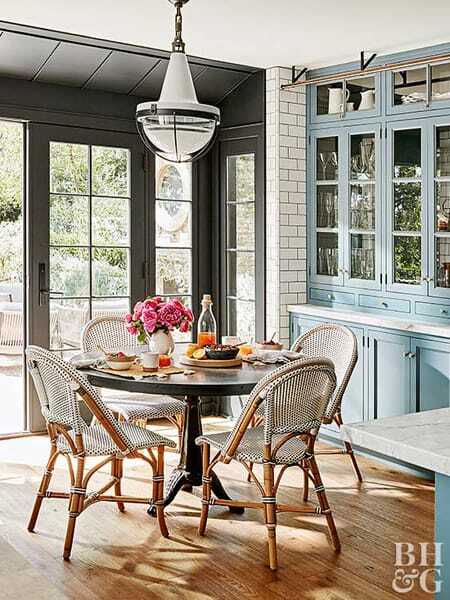 The black doors are a nice contrasting touch in the breakfast nook, where the table and chairs incorporate black accents to make it all flow together. The master bedroom is decorated in neutrals but the various tones and textures make it warm, cozy, and elegant. Outside, a gorgeous brick fireplace is the focal point with a comfortable seating area around it for entertaining. Also outdoors is another seating area with a sofa for casual conversation or curling up to read a book. What’s not to love about this adorable home?